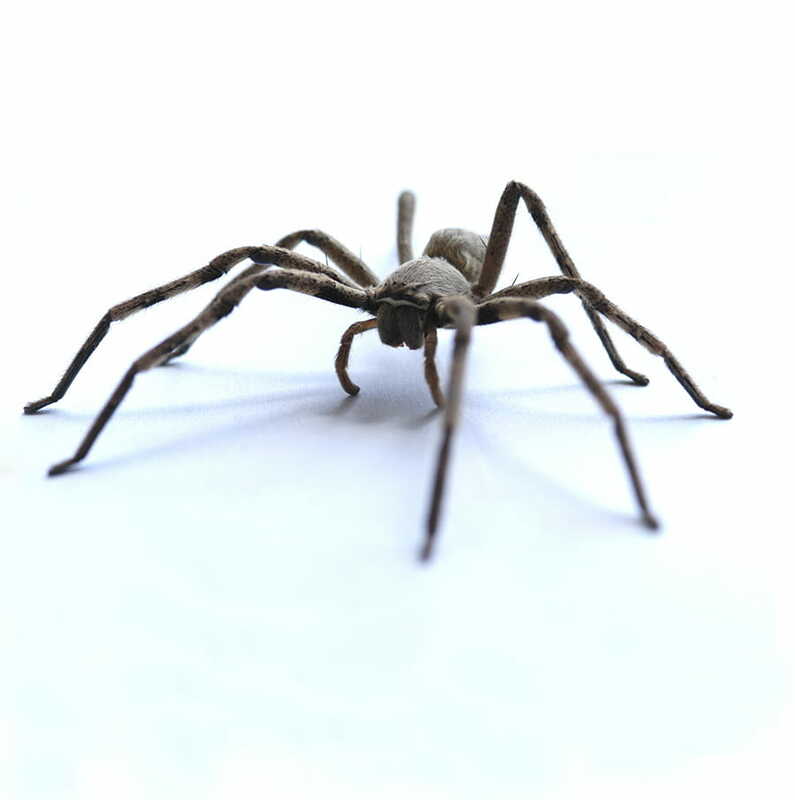 Spiders are generally thought of as beneficial more so than dangerous–unless you are bit by a black widow or brown recluse. Spiders commonly have eight legs and up to eight eyes, and are generally thought of as beneficial more so than dangerous—unless you are bit by a black widow or brown recluse. Spiders have two body regions connected by a restricted waist. The fused head and thorax have two jaws, two palps, eight legs and up to eight eyes. The abdomen is unsegmented and holds the spinneret. There are about twelve different species commonly found in properties. Depending on the species, the body of spiders differ. For example, the daddy-long-leg spiders have a segmented abdomen (not connected). Spiders generally live in the wild, but they are often brought into properties on firewood and flowers. They are often found around windows since other insects are attracted to this area. A female spider will lay approximately 250 eggs in a silken sac. Nine egg sacs are common in a season and these sacs hatch after a week depending on environmental conditions. Many spiders will live for about a year, but some can live as long as 15 years. Spiders feed on other insects and are generally thought of as beneficial. Spiders generally live in the wild, but they are often brought into properties on firewood and flowers. They are often found around windows since other insects are attracted to these areas. Are spiders active in winter? 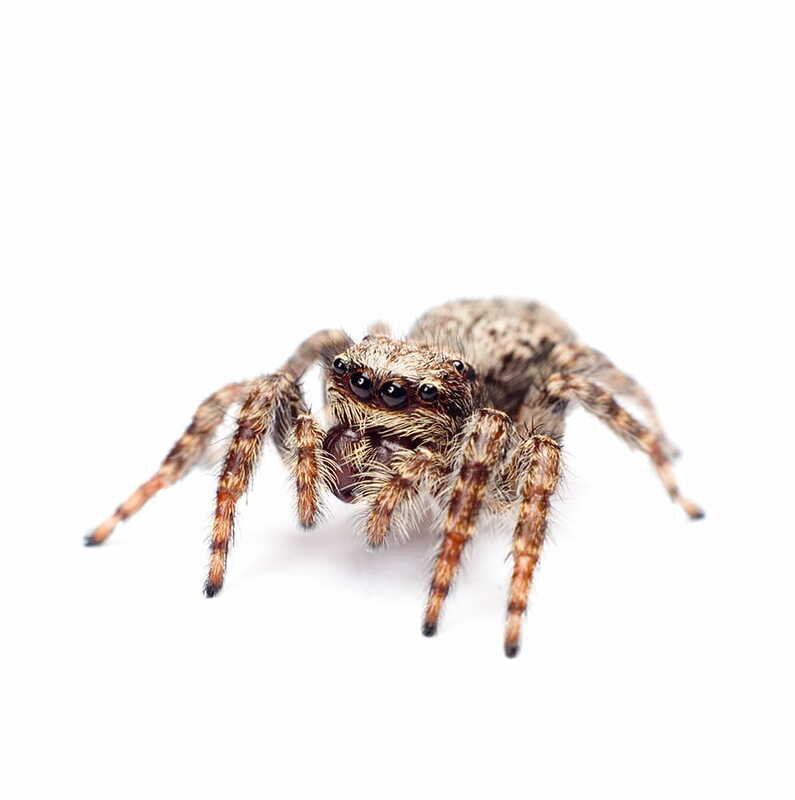 In properties, spiders are found year-round but are most prevalent during warm months. In the wild, adult spiders will die when it’s cold while the young will overwinter in a dormant state. 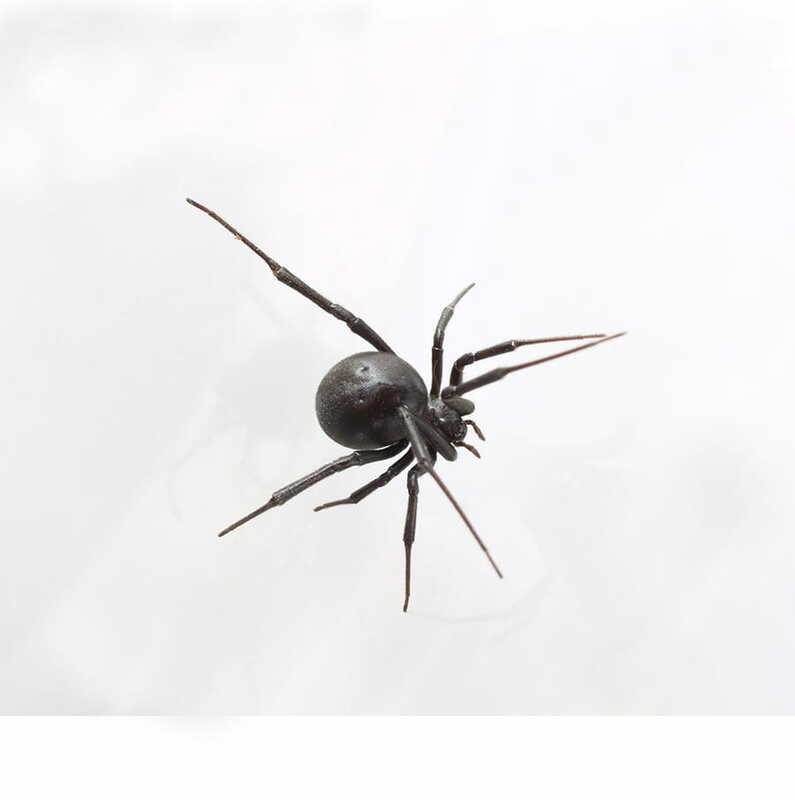 Two spider species are considered to be dangerous to humans–the black widow and brown recluse. These spiders are native to the United States, but also could be found in Canada (from BC to Ontario). If bitten, you should receive immediate medical attention. A female spider will lay approximately 250 eggs in a silken sac. Nine egg sacs are common in a season and these sacs hatch after a week depending on environmental conditions. No. Some spiders spin webs for catching prey while others are live in the ground. What can I do to prevent spiders? Since spiders feed on other insects, removing the food source is necessary. Sweeping of the basement and crawlspace along with removal of wood piles, high grass and litter around the property will deter infestation.